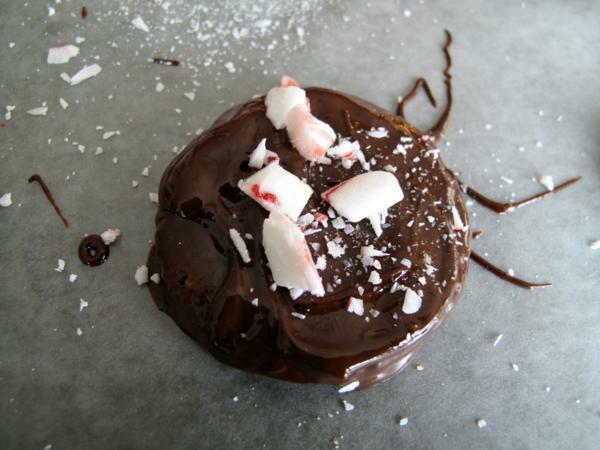 These Chocolate Covered Ritz Crackers are one of my favourite treats to make for the holidays! You dip Ritz crackers in a minty chocolate mixture, sprinkle them with crushed candy canes and let them dry! 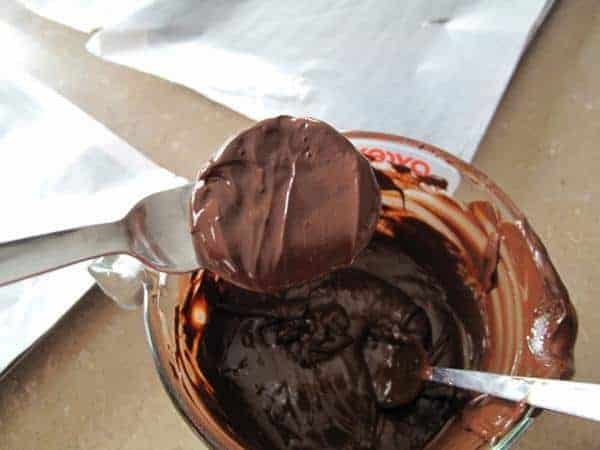 Who thinks of putting chocolate on crackers? The test kitchen people at Kraft, that’s who. And that’s why my future does not include being in a test kitchen, I am just not bold enough. I am not cut out for adventurous cooking like this. But…they are salty…they are sweet….they have chocolate…and they have mint. Hawt damn, what a combo. Sigh. Love it. That is a pile of happy below, y’all. A PILE O’ HAPPY, I tell you. Once the dipping is done, time to sprinkle! Oh lord. These are my favorite crunchy salty sweet minty snack. Just look at that perfection. PIN THIS RECIPE to your DESSERT RECIPES Board and Remember to FOLLOW ME ON PINTEREST! 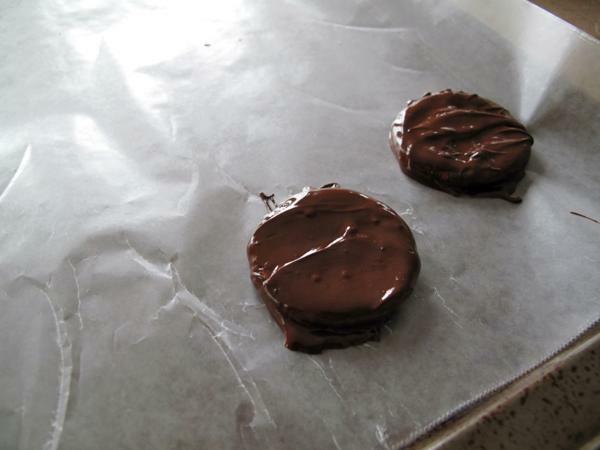 Line two or three large baking sheets with waxed paper or parchment paper. 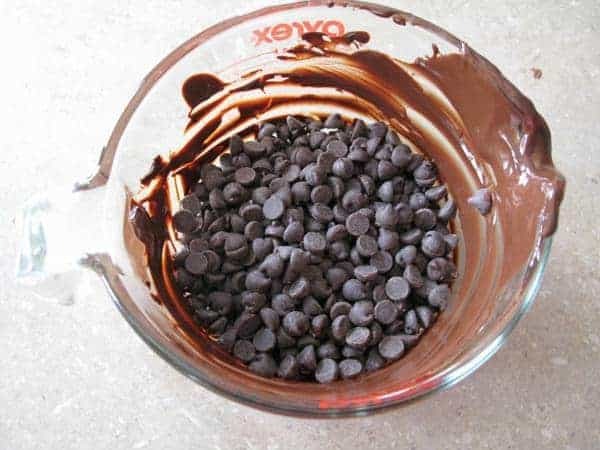 Melt your chocolate chips in a large glass Pyrex measuring glass ( or similar microwave safe glass). Stir in your mint flavoring and get ready to dip! 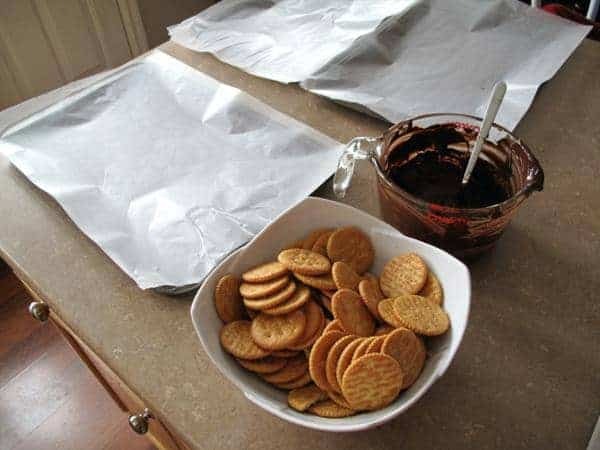 Dip each cracker until they are covered in chocolate then place on the wax paper. The number of treats you end up with depend on if you are a heavy dipper or a light dipper. 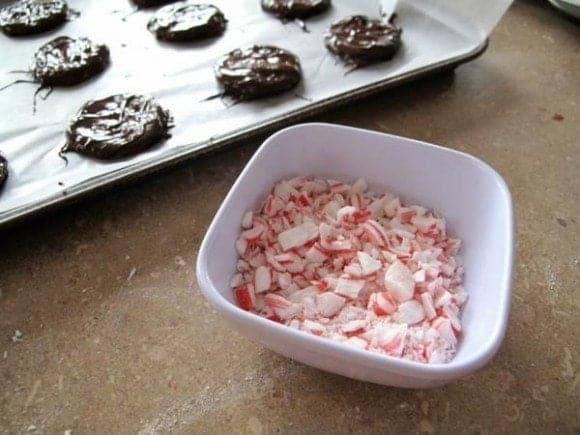 Once the dipping is done, time to sprinkle with the crushed candy canes. Let the chocolate harden the store in a closed container for 4-5 days on the counter or freezer for up to two months. I have made them for years we always have called them girl guide cookies. Oh they do kinda taste like them! That sweet and salty magic!! Made these last week and they are great! I used Lindt milk chocolate for some and mixed 70% Lindt dark with milk chocolate for the rest. 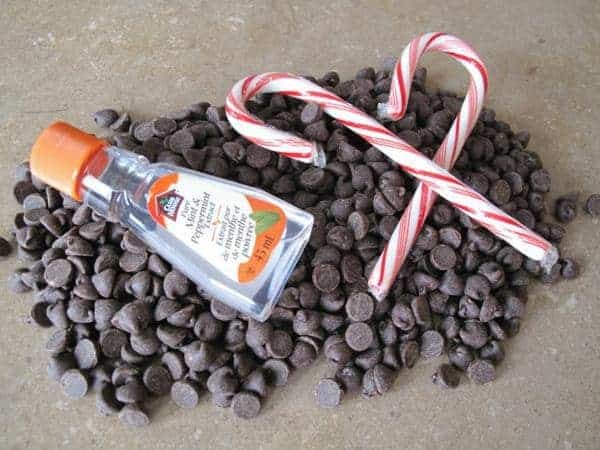 Great way to use up some old candy canes! On my list for next year for sure! Hi Karlynn, thank you so much for your website. Your recipes are a marvel. I just did these with my daughter for Christmas baking gifts. A little more finicky than I was expecting (probably cuz you make everything sound sooooo easy!) My girl got right in there and sprinkled for me, she even went and got her bell to let me know when she was ready for the next one. LOL Surfing those Ritz around took a little time. They turned out amazing though!! I am very happy and thanking my lucky stars for finding your website. Thanks again, next we are tackling your cream cheese truffles. What would I do with out you? I was just trying to figure out what to to take as my contribution for the kids xmas party this weekend. These look yummy, festive and my fave part easy to make! Thanks for another great idea!